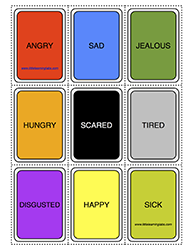 Practice drawing or acting out 18 different feelings and emotions. You can also make more on the extra blank page! Practice following directions with this easy movement game. It has bilateral movements, which are proven to increase brain function. Any time you can get both sides of the body moving and crossing over, it makes your brain work harder! Still, most students can play this game or at least mimic their neighbors. It's a great way to add some fun movement to the classroom! 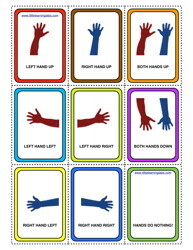 Each card tells you what to do with your right hand, left hand, or both. Get a free sample download here, or get the full color printed version with all the cards and printed fronts AND backs on Amazon. 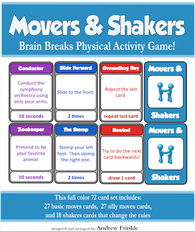 Movers & Shakers just got its first EXPANSION SET! 9 More Shakers cards to add new rules and variations! 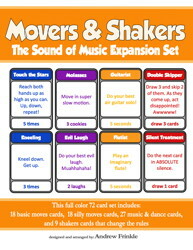 Movers & Shakers just got its second EXPANSION SET! This card game doubles the original set with 72 brand new cards. Or get both expansions and have over 200 cards! This new set is just amazing for Music & P.E. teachers!